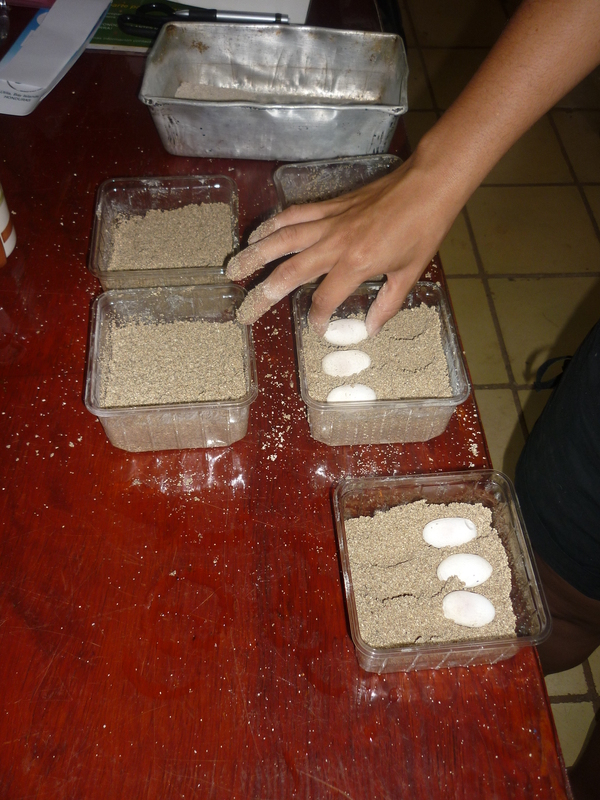 The breeding season we can now announce has officially begun as Andreas found the first EGGS! One now very skinny-looking female (above) laid a whole nineteen eggs early this morning. 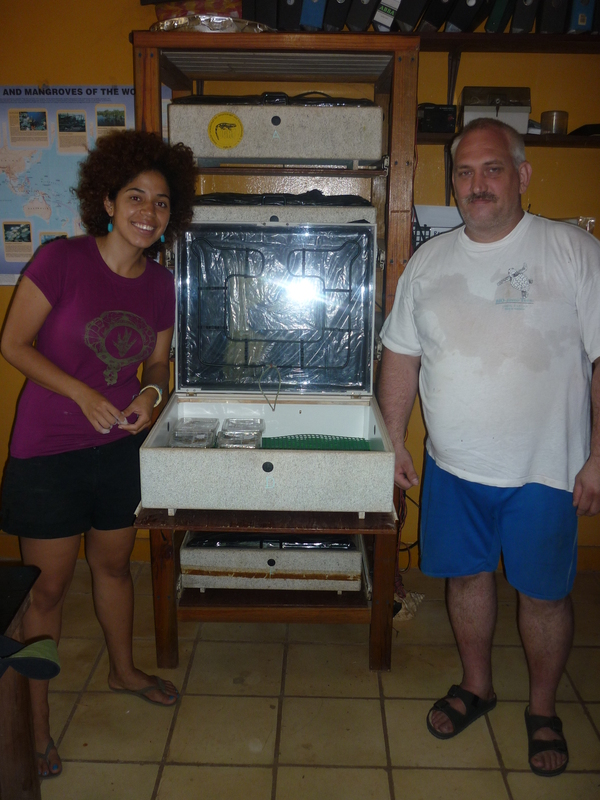 Everyone is pretty chuffed with the news and the eggs are safely in the incubator. Andreas suspected the female was ready to lay as her tail appeared unusually thin – a sign in iguanas that the animal is about to lay eggs. Just yesterday volunteers found and removed several large ant nests from underneath the boxes, which was just in the nick of time. If the ants had been present for the laying today they would have eaten and destroyed the eggs. The new parrot cage is currently being designed and furnished by our avian interior designers. Luxury features that the parrots will be enjoying include dream catchers, stairs (?) and a multitude of ropes. I believe the quality of their accommodation will soon exceed that of ours! Nardiah and Shane, the two Cardiff University students who work in conjunction with the station, had the joy of dissecting an iguana right here in the room I am currently working in. They completed the dissection two days ago, and the smell has finally left. WHAT a smell. Volunteer Claire described it as “the sweet, musky smell of death”, which I would say is pretty accurate. 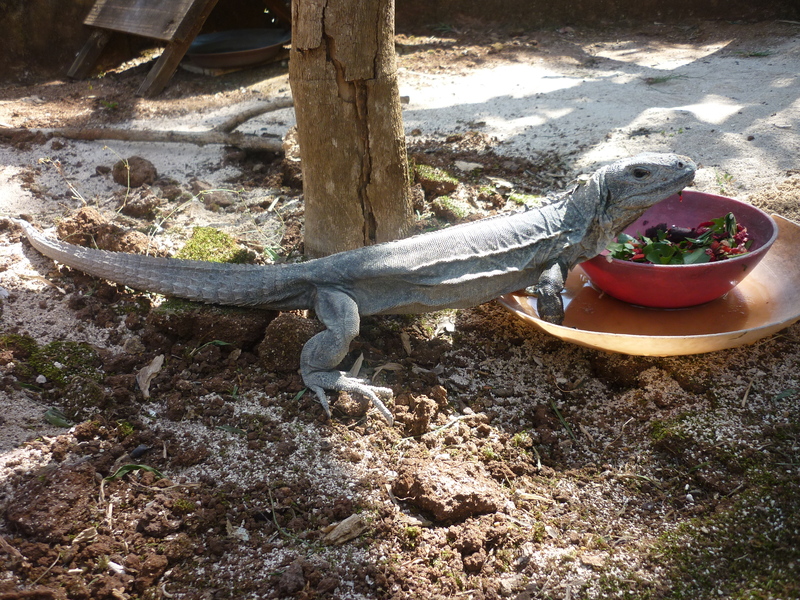 So, in answer to the question the blog title poses; we like them laid, and of the iguana type. Thank you very much. ~ by iguana123 on April 7, 2011.